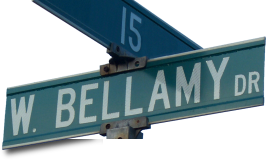 Welcome to 15WestBellamy.com, a website development firm located in New Castle County, Delaware. We specialize in websites for small businesses and organizations, but are available for larger projects as well. At 15WestBellamy.com, we understand that your business or organization is as unique as you are. Just as a marketing plan is specific to the business for which it is created, your website should be custom-created based on the needs and desires of your business. We'll listen to what you want, and help you design the website that gives your organization the internet presence it deserves. We've been building websites since 1998, and we work with the latest standards to build you a modern, cross-browser compatible website. We'll help get your site optimized for search engines, and hook you up with social media integration, as well. In many cases, you'll need help keeping your website current once it's built. If your website hosting plan features PHP and MySQL, we can create administrative tools to help you take control of the updates yourself. Or you can keep us around to handle your ongoing maintenance for you. Ready to get started? We'd love to hear from you. Contact us at jasontokarski@gmail.com. We'll be glad to help you with any concerns or confusion you may have.